This time, we’re back on site at House Planning Help founder Ben Adam-Smith’s self-build to see how work is progressing. Let’s find out what’s involved in laying a beam and block floor. In the previous post, we followed the early stages of Ben’s build and saw his contractor successfully install a concrete strip foundation. When we left the story, the strip foundations had been poured and set, and the rest of the plot levelled. 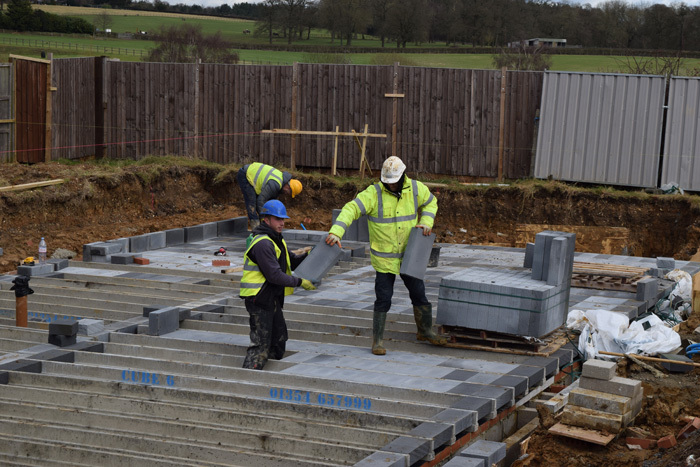 We were ready for the ground floor of Ben’s 226 sqm Passivhaus in Hertfordshire to be laid. In order to meet Passivhaus standard cost-effectively, Ben’s house is being built using familiar, tried-and-tested methods. And that mindset continues with the chosen approach to the floor. Ben's architecture firm Parsons and Whittley have specified a beam and block floor for this project. But what is a beam and block floor exactly, and why was it the right choice for this build? What is a beam and block floor? At the start of the millennium, solid concrete slabs were still the preferred method for ground floors in most houses. Today, things are different, and most are built in the beam and block style. First, dwarf (small) walls are built to support a large number of cast concrete beams. At this stage, drainage and service pipes are also fitted into the floor voids. Next, the concrete beams are carefully arranged across the full floor area of the house. And finally, a bit like a jumbo jigsaw puzzle, concrete blocks are dropped in to fill in the gaps. There are significant benefits to using beam and block. 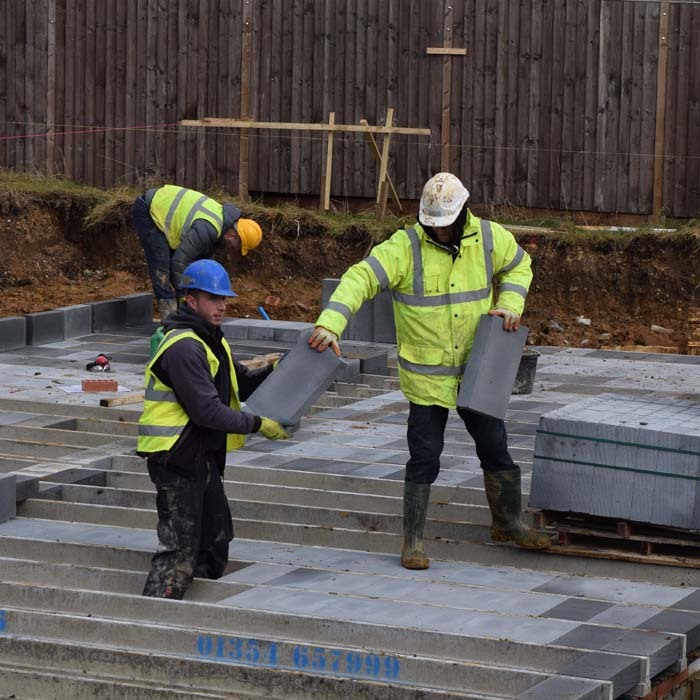 “It’s a cost-effective technique and it doesn’t come with the risk of settlement, which a full ground-bearing slab can,” says Chris Parsons. 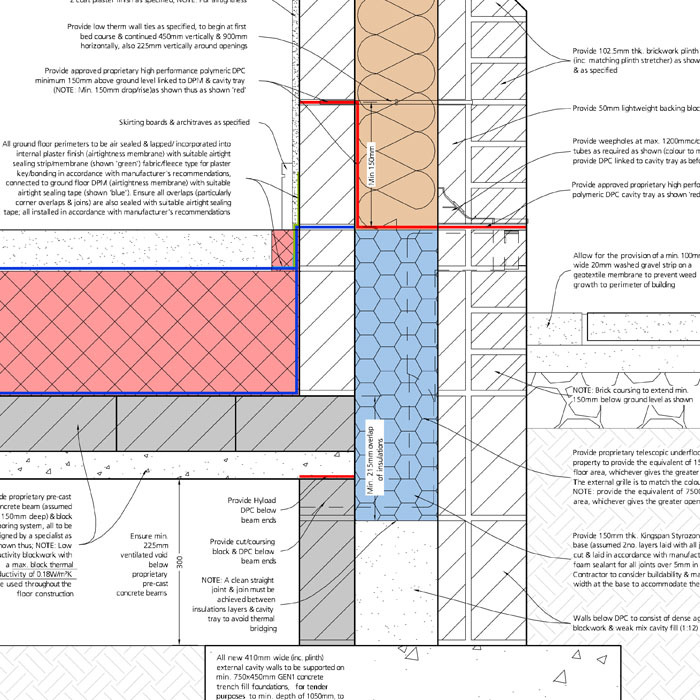 One potential challenge of using beam and block in a Passivhaus is that it does create a thermal bridge – in other words, areas where you could lose a lot of heat. While beam and block flooring is a straightforward job for experienced building contractors, some important adjustments do need to be made along the way. Where services enter the house, for example, blocks need to be cut to fit. With all the beams and blocks dropped into place on Ben’s build, the team then brushed the floor with sand. 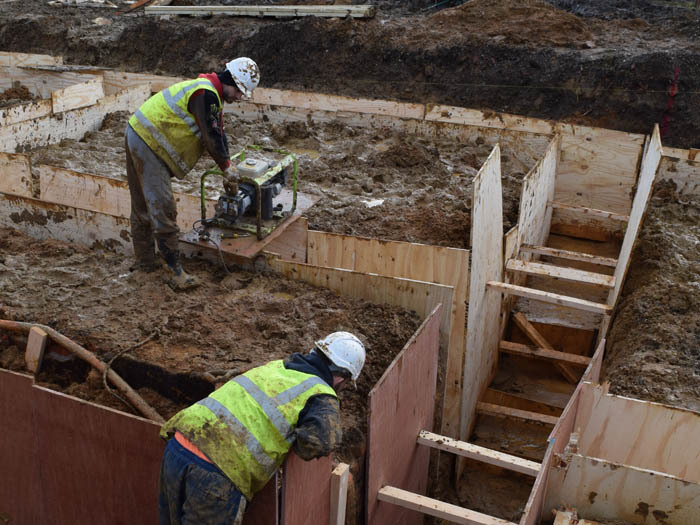 The floor will remain at this relatively raw stage for the time being, as it gives the contractors an ideal, flat base to work from as they embark on the next stage of the build, constructing the first-floor walls. Later in the process, the floor will be carefully insulated and then a screed will be laid. The final flooring finish goes on top of this towards the end of the project. Ben’s self-build story: what is a concrete strip foundation? After more than six years of research and planning, Ben Adam-Smith’s vision for a 226sqm Passivhaus is built on solid foundations. With a rollercoaster few years behind him, it’s a huge relief to be finally pouring the real thing. 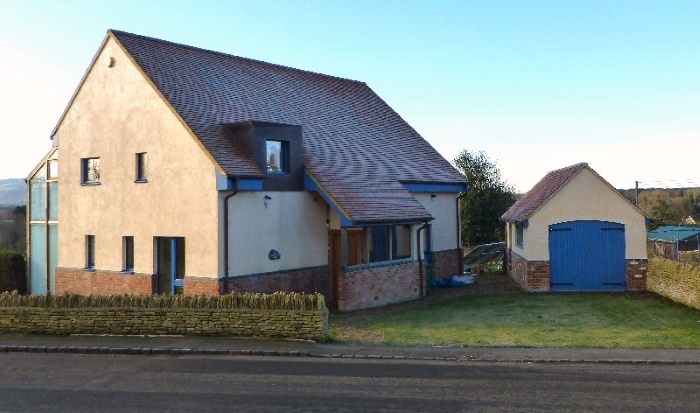 Like most first-time self builders, House Planning Help founder Ben Adam-Smith and his wife Kay have overcome stumbles and setbacks to get their ambitious plans for a Passivhaus off the ground. From a long and arduous plot search to being stunned by the sky-high bids from contractors, it’s not been the easiest ride. The good news is that their determination has paid off. 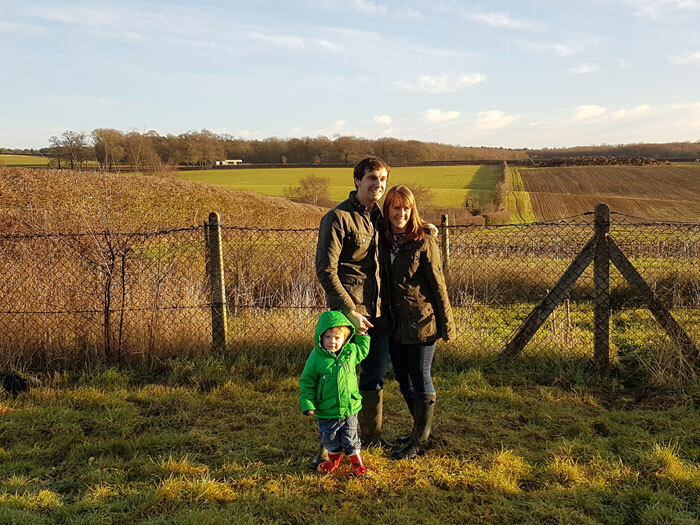 After securing a beautiful rural half-acre plot in Hertfordshire back in 2016, they’re now putting their architect’s plans in the hands of their chosen contractor. Their dream home is about to get real. 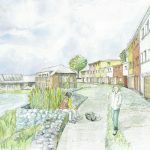 Plans for Ben’s Passivhaus were drawn up by Norfolk-based architecture firm Parsons and Whittley. An interesting element of their plans is that they don’t rely on rarefied building skills or unconventional and expensive materials. Instead, the house will be a traditional cavity wall masonry build, which is a common choice in the UK. The key difference will be the attention to detail that’s required by Ben’s building contractors. With contractors appointed and the site secured, the team has been busy getting the first few key stages of construction completed. First up was the precision job of pinpointing precisely where the house will sit on the plot. While this sounds a simple job in principle, it needs to be extremely precise – deviating by as little as 5mm from the approved plans. With that job done, and things getting off on a solid footing, it was time to build a genuinely solid footing in the form of foundations. Ben's architecture firm specified a concrete strip foundation. But what exactly is that? What is a strip foundation? The process involves digging out trenches around the perimeter of the house and along the line of all load-bearing walls. Concrete is then poured in until it reaches just below ground level. The site’s good sandy ground also made strip foundations a practical solution. Good ground conditions are important in strip foundations, because the sides of the trench play a big part in supporting the load. Heavy rain did slow the job down a little bit. Flooded trenches had to be pumped out before concrete could be poured, but overall this stage of construction passed without any nasty surprises. With the concrete foundations fully set and the rest of the earth levelled, it’s now deliveries rather than rain that are flooding the site. 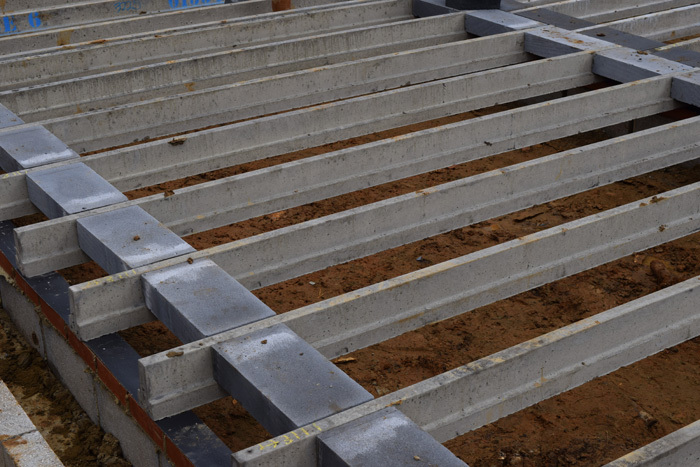 Ben’s team is ready to move on to the next stage of the build – laying a beam and block ground floor – and you can read all about what happened in our next post. From Passivhaus . . . to conventional house? What makes someone swap the comfort of a Passivhaus self-build for a conventional 1960s bungalow? Former ITV news cameraman Mike Coe explains his unexpected transition. 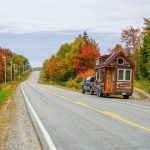 When Mike Coe built his ultra-low-energy eco-build – the Cropthorne Autonomous House in Worcestershire – after he retired in 2006, he was determined to make a difference. Water neutral and off-grid apart from electricity, the house trod as lightly on the earth’s surface as possible. It encapsulated Mike’s optimism that UK housebuilding was on the cusp of change. But five years on, after much soul-searching, Mike and his partner Lizzie made the difficult decision to move on. 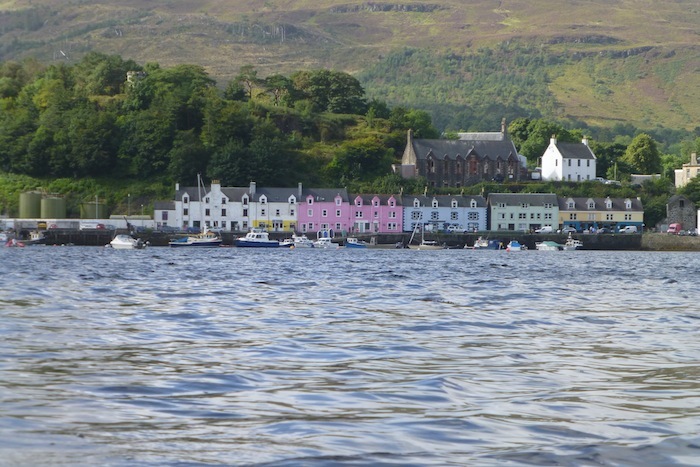 A shift in values, combined with an appetite for new adventure, has taken the couple from the comfort of a Passivhaus with no heating system, which never fell below 16°C even on the chilliest of winter nights – to a three-bed 1960s bungalow in Portree on the Isle of Skye. So what changed? “When we built The Autonomous House, I naively thought I was on the vanguard of some kind of movement in ultra-low energy homes,” says Mike. “But while I was attempting to build as ecologically as I possibly could, the government was in the process of trashing UK planning laws and allowing developers to build rubbish wherever they wanted. I became disillusioned quite quickly. 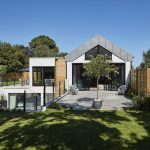 Their current home – a traditionally built 1960s bungalow – is merely a temporary stop-over as they embark on another self-build challenge. 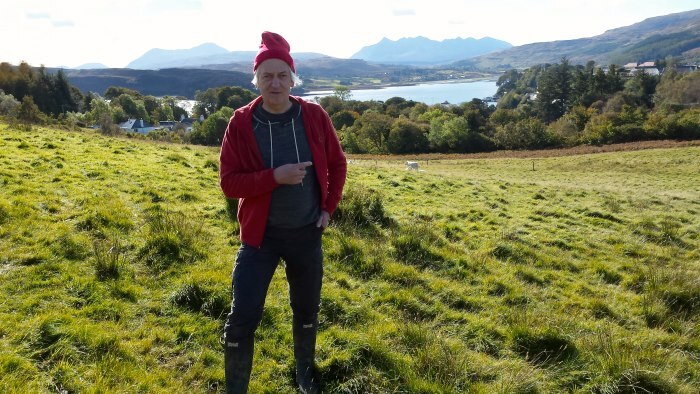 And while Mike's focus has changed since building his radical, largely off-grid Passivhaus, he hasn’t lost faith in low-energy building methods. “I still try to live in an environmentally sympathetic way – and my next house will be a Passivhaus,” says Mike. “But I no longer think anything I’m doing will have any great impact on the world. In planning their move north, Mike’s original intention wasn’t to build again. Despite being very practical and capable – having done all the electrics, plumbing and more at Cropthorne – he doesn’t particularly enjoy the building process. 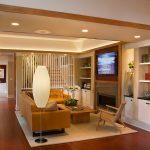 The couple’s first thought was to find an existing house that they could adapt. It was during this search that they heard about a building plot with planning – that also had ready-made accommodation on site. “While it wasn’t our intention to build again, the site we found, almost accidentally, had so much potential,” says Mike. 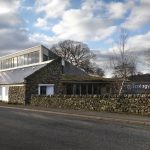 “It had nine acres of croft land, two building plots with Permission in Principle (the Scottish equivalent of Outline Planning Permission) and a perfectly acceptable bungalow on site that we could move straight into. It was too good an opportunity to miss. So how does living back in a ‘normal’ home compare to the comfort of living in the Cropthorne Passivhaus? “The most notable thing is how rapidly the temperature inside conventional buildings follows the temperature outside,” says Mike. “The heating goes off and half an hour later you notice that it’s really cooling down. Two hours later, it’s freezing. “In our Passivhaus, which was high-mass with thermal storage in the structure of the building, the process was slowed down. In autumn, when you started getting chilly nights, you simply weren’t aware of it. What of Mike’s plans for the new build? Have his shifting views led to a fundamentally different approach this time? “It will still be a very low energy design for both comfort and running costs, because it’s a good way to live,” says Mike. “It just won’t have unrealistic goals. “With the Cropthorne project we were quite hard line. 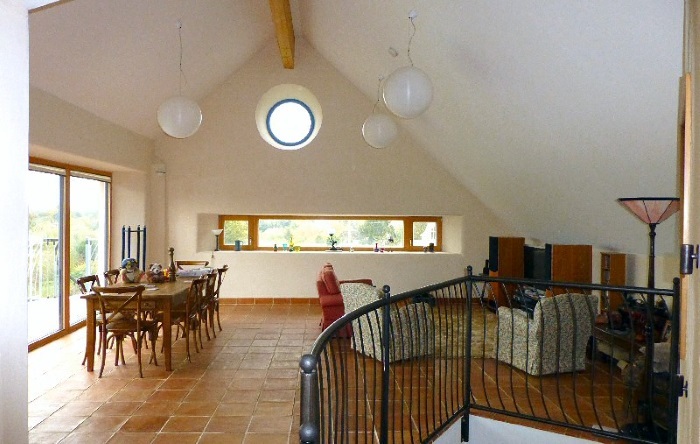 The house used entirely harvested rainwater, we had composting toilets, and everything was designed to minimise impact. We’ll still follow that path to some extent. For example, we’ll aim for zero heat, even though the climate here is different. There’s also a stream running down the site that should be capable of powering a small hydro generator to provide some of our electricity. Eventually we may even add a wind turbine. “But this house will have more mainstream appeal. The autonomous systems at Cropthorne were brilliant but they added to the costs, and you don’t get those back when you sell. We had practical reasons for doing what we did there. 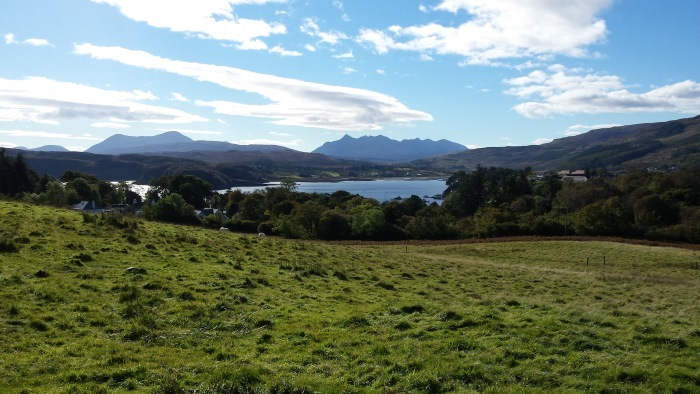 On Skye, water is in abundant supply, so we’ll probably connect to the mains.